Team NC is the winner. The winner of the NC vs NX Championship is Team NC. Despite crappy weather and the relative low turnout, Team NC pushed through to trounce Team NX. Congratulations! Team NC, your love of government bureaucracy delivered a clear win. The pleasures of continuously asking the FAA for permission and forgiveness clearly outweighed those of increased performance, speed, and freedom. Here’s to you. Wear your shirt with pride. The next time some NX person tells you how fast their plane is, how fast it climbs, or how short a strip their machine can use, remind them how complete your logs are and that you are ok with it because you know some crazy-eyed recluse name Fred didn’t build yours. All joking aside, thanks to everyone who competed by buying the shirt, and to all who made it to the event. It was great fun. 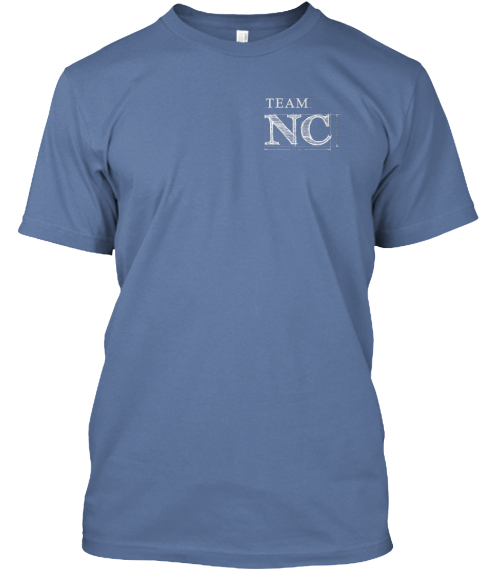 If there is anyone who would still like to purchase a NC vs NX shirt, you can still get them online through October 7th. Click here to buy. 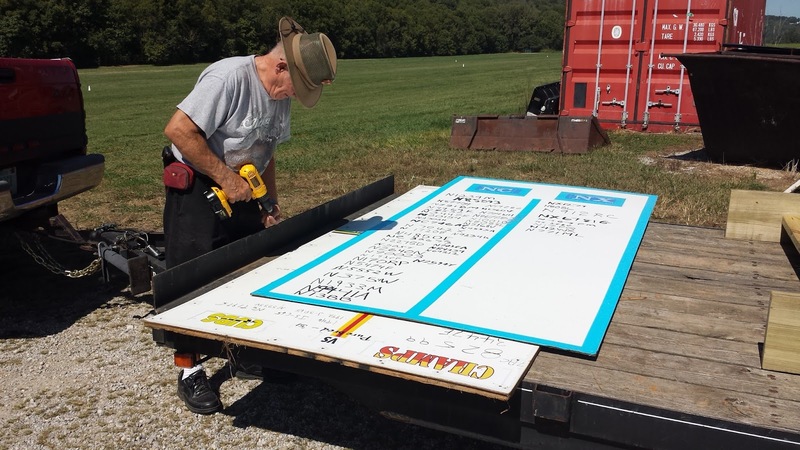 Below is a photo of the board after it was all over. Not all N#s are there but most are. That’s Kirk Wood removing it from the previous year’s Cubs vs Champs board. We’re going to save them for wall decorations. Despite bad weather, fun was had by those on hand.